Born in Waterford in 1955 Peter showed a precocious early talent and had his first exhibition at the age of fourteen. Sell out exhibitions in Dublin followed. He was advised to go to Florence where he spent two years studying in the studio of Signorina Simi. This classical training stood him in good stead as he has always placed the utmost importance in sound draughtsmanship. He then moved back to Ireland, successful exhibitions in Ireland and London followed and in 1977 he moved to Tipperary. 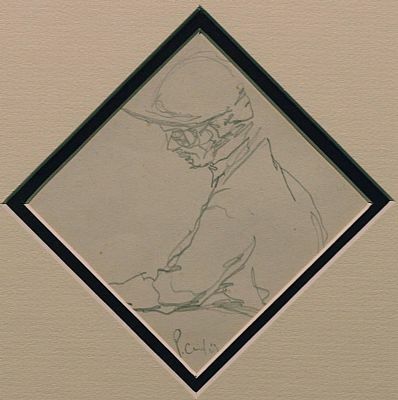 Peter's work through the eighties and early nineties found him painting a lot of horse portraits. For the last number of years he has made regular trips to Venice. He has also spent more time painting the landscape around him in Tipperary and these smaller more intimate pieces have again proved to be very popular. The last couple of years have seen an increased energy and output of work. Peter also has a light hearted side to his art and his depiction of characters from the world of racing have proved hugely popular. Cartoons have fetched staggering prices, 2.0 million for one at a recent charity event in Ireland.